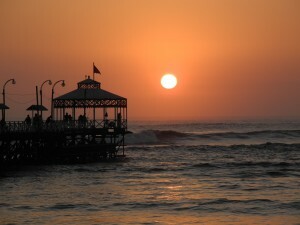 We have now spent three weeks in Huanchaco. It is a beautiful little fishermen/surf village situated on the Northcoast of Peru. 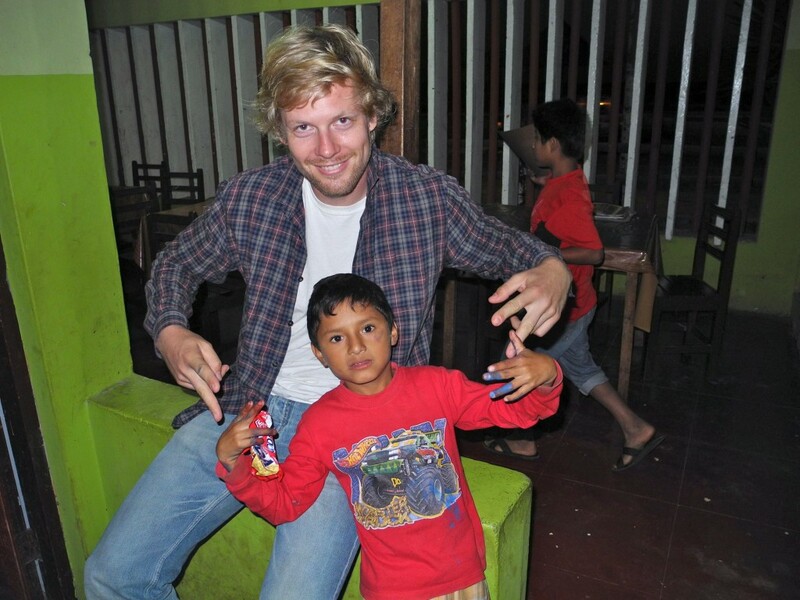 Besides surfing and taking spanish classes, we are also volunteering with two local non-profit organisations. One is called Mundo de Niños, a home for children who used to live on the streets. At the moment Mundo de Niños takes care of nine boys at an age from 8 to 15 years. The boys live here, they get 3 meals a day, they go to school 5 days a week and also have psychological support as most of them haven’t had the easiest of childhood. We come here every afternoon, play football with the boys, help them manage their homework and prepare dinner for them. Once a week we also teach English. Another organisation we support, is called N.A.F.E. 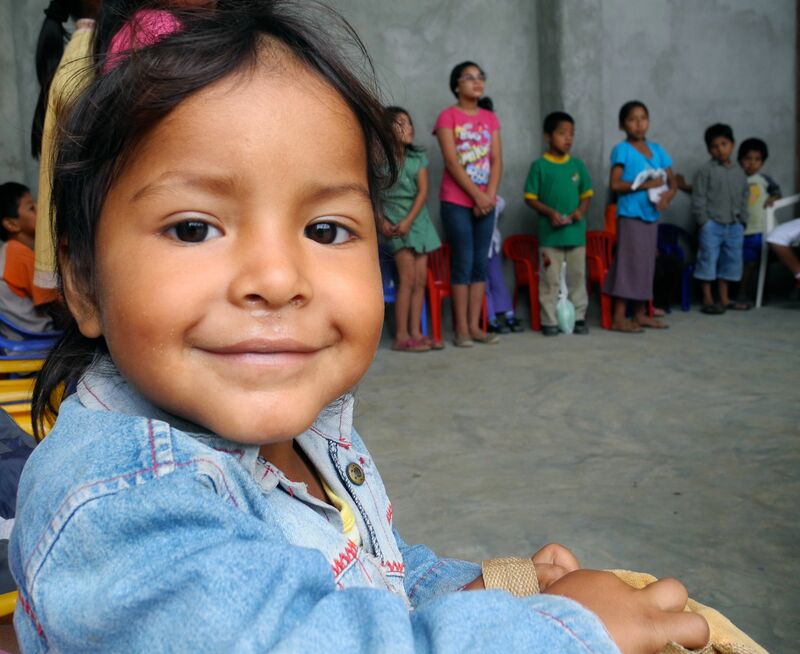 – Niños de Amor, Fé y Esperanza. This organisation has just recently been founded and the construction works are not yet completely finished. 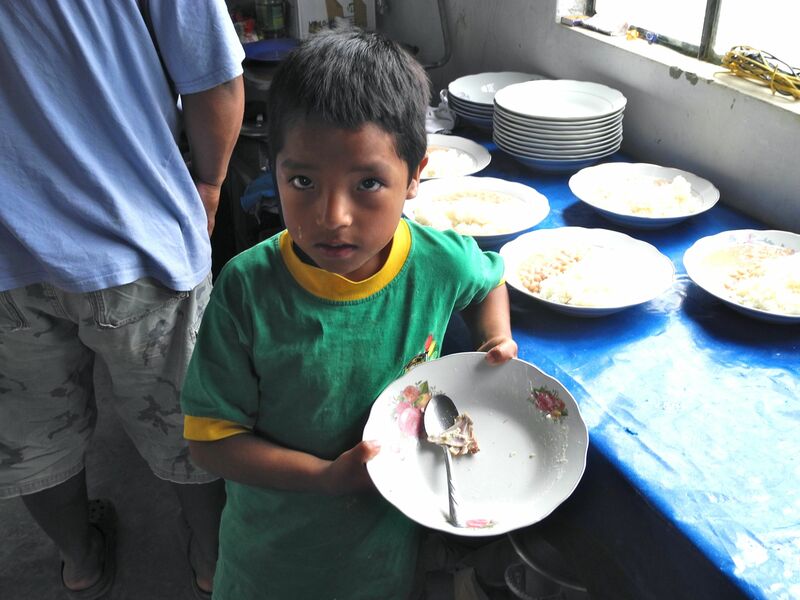 Every Sunday 50 to 60 children come from close-by villages to spend the day here and get a rich lunch. Underneath you can see a picture of Sandy. Sandy is only 3 years old and together with her 6-year old sister Luz she walks 1.5 hours every Sunday, to get to NAFE to eat as much as she can. What they can’t finish, they pack up and take home. Here as well, we teach English twice a week. NAFE plans to establish a daycare in future, but so far resources are not sufficient. If you wish to donate for this organisation, it would be highly appreciated. The money – even a few Euros – can do a lot here in Peru. Please contact us on info@freeridesa.com for further details. This entry was posted on Sonntag, Juni 19th, 2011 at 16:57and is filed under Peru. You can follow any responses to this entry through the RSS 2.0 feed. You can leave a response, or trackback from your own site. Suerte !!! Schaue spaeter nochmal rein!